A few of my favorite things: Serena Thompson, The Farm Chicks. Hi! I'm Serena Thompson, co-founder of The Farm Chicks, a brand I created with my best friend and business partner, Teri Edwards. (Our blog is under the same name.) We came up with The Farm Chicks name after being invited into numerous farms and barns to collect old items. When we decided to start an antiques show and sell those items we'd been collecting, we knew we needed a name, and that's how The Farm Chicks name was "hatched". Years later, we still produce our annual antiques show, are cookbook authors, and work as contributing editors for Country Living Magazine. My husband, children, and I live on Peone Prairie, just outside of Spokane, Washington. We're surrounded by thousands of acres of wheat fields, and an agricultural area known as Greenbluff. It's a very beautiful and peaceful place to live. 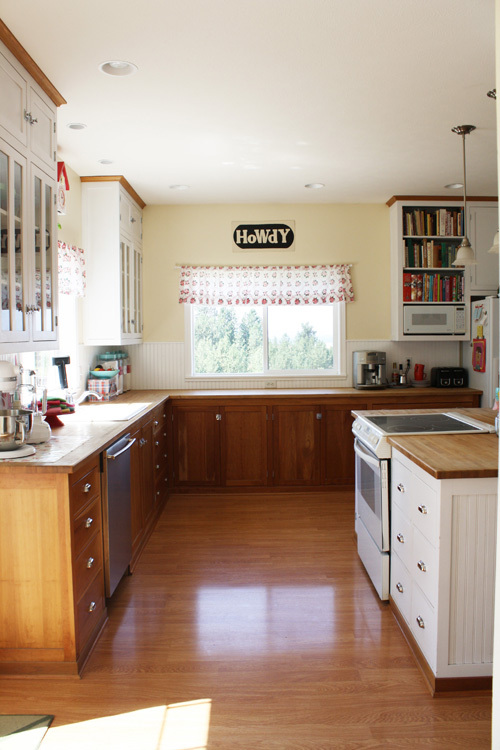 Much of our family time is spent in our kitchen, which is a nice, open space so I'll share with you a few of my favorite things from this space. When I designed the kitchen, I wanted it to feel timeless. The cupboards go straight to the floor with no stepback at my feet. Light pours in through the windows, making it a very bright and cheery place to be. 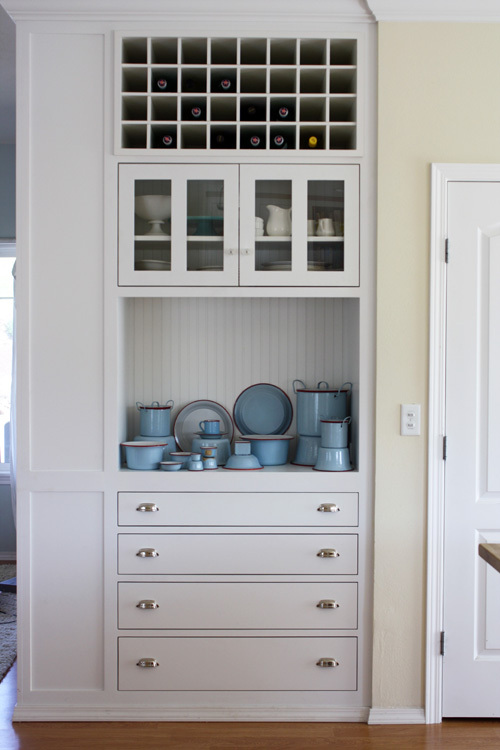 The base cupboards are made of cherry wood and the countertops are maple. 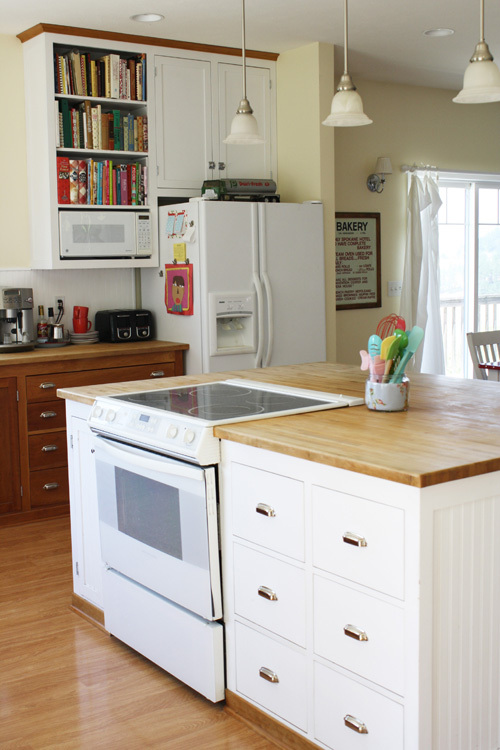 The island is in the center of the kitchen. The bank of drawers to the right of the stove hold all of my baking supplies. I call it my baking center. 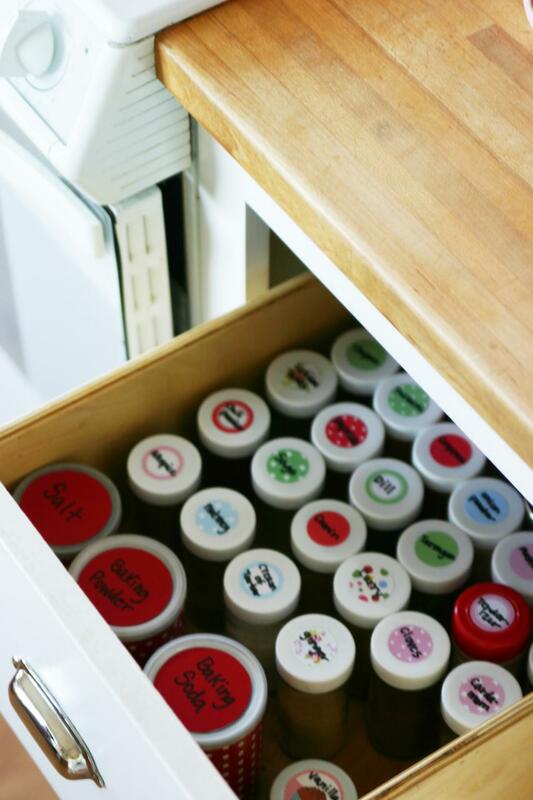 You can read more about my baking center here and here if you'd like. My current obsession is blue and red European enamelware. I love making my home as pretty as possible. 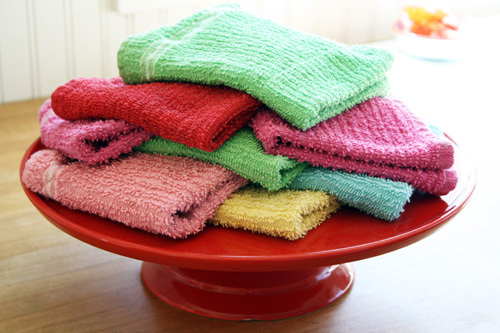 Kitchen cloths stacked on a cakestand are pretty and practical. 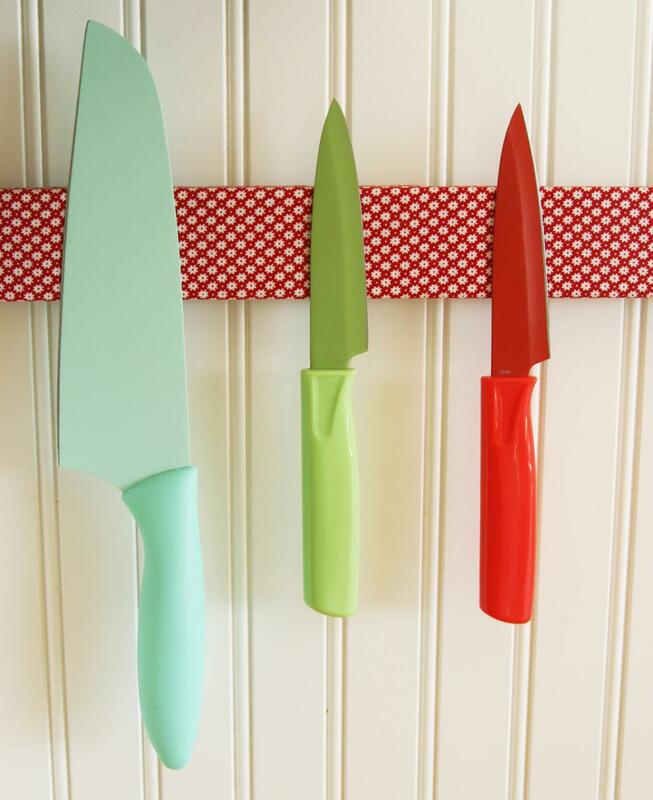 Before I go, I'll leave you with a fun and easy DIY kitchen project -- a magnetic knife rack. You can find complete instructions here. Enjoy! Thank you for visiting my kitchen! -- Happy Trails, Serena.